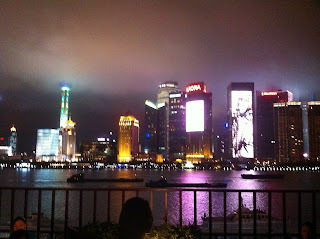 Despite the fog, the view of the colorful skyscrapers at night here in Shanghai was beautiful! The view of the city more than made up for the awful dinner I suffered through earlier in the night. I had an interesting run in with local delicacies at a Yunan restaurant. Worms, crickets or bees, anyone??? 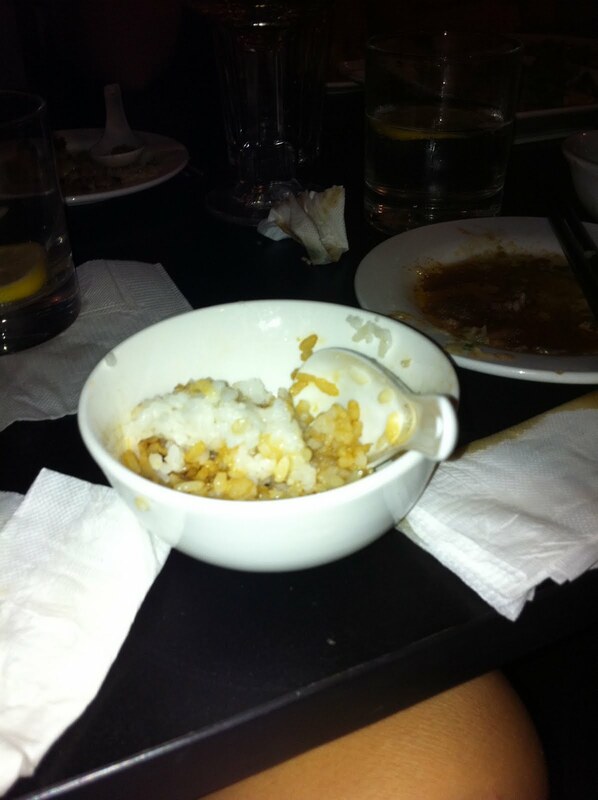 Being a vegetarian, I went the safe route: a little bowl of white rice with some soy sauce. Oh well.. You live and you learn (to cook at home! ).